Stephen Warfield is an agent for the NSA. He has been a field agent for an agency not known by the general public to have field agents, and he has been one for many years. When the NSA decided to extend their portfolio and move into other areas of intelligence gathering beyond signal intercepts and decryption, he was one of their first agents. In addition to being able to stay alive in a gray world where that is not often possible, Warfield proved over and over that his ability to solve puzzles remained constant. As his reputation and value grew, he eventually became the lead agent for a trial program called Turnkey, a project much envied and hated by the other agencies for stepping onto their turf. When a mission by a fellow agent, albeit for the CIA, and former lover went terribly wrong, Turnkey was made public, the NSA got a major bloody nose, and many agents lost their job. The agent in question, a woman named Bettina, vanished leaving Warfield to try to pick up the pieces. Warfield, who worked under the codename of Mariner, was not one of those kicked out but since then he has had to walk very gingerly at times. As the series opens, the old wound in his career and his life is about to reopen and a chance at redemption is presented. Whether it will truly be redemption or actually total repudiation, only time and a lot of luck will decide. 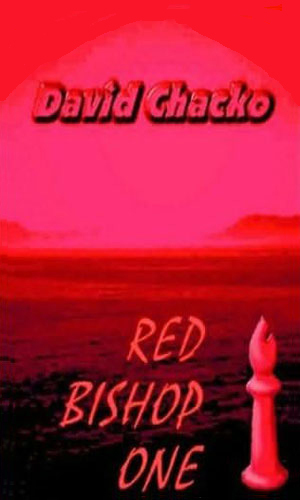 The author, Mr. Chacko, considers this three-book series to be the Iron Rose trilogy, telling one long story broken into three distinct parts. Each book can be read and enjoyed separately but it is best to read them in order. Stephen Warfield is surprised to get the call from Bettina, his former colleague and lover and a woman who five years before created a tremendous scandal in the NSA before disappearing. Now she wants to come home but her enemies are many and most want her very dead. 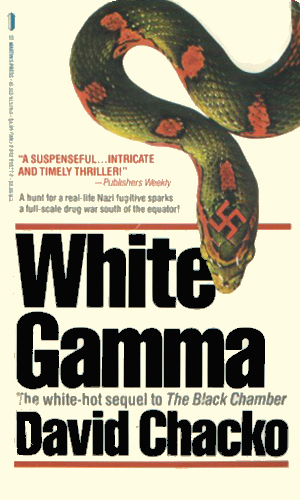 In Columbia, South America, the former Nazi fugitive Heinrich Muller is now one of the leading drug lords on his way to being the top. Stephen Warfield is given the assignment of heading there to bring Muller in alive. Though the former Nazi and current drug lord Muller is behind bars in South Florida, his power still extends far and the violence is escalating. On the eve of a Presidential election, Muller is making incredible demands which, if not met, will bring bloodshed around the country. 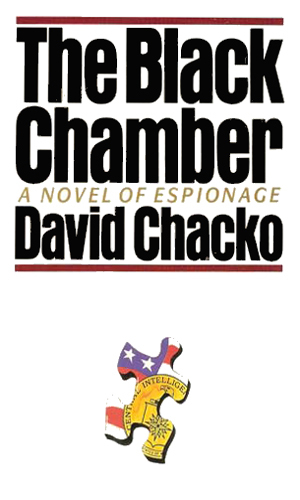 Mr. Chacko is a darned good writer and he really has a feel for what makes a great spy series. He presents an experienced, dedicated, though slightly jaded, agent who can take care of himself in most situations, puts him into an extraordinary situation, and lets him fight his way out, taking the reader with him. His books are never boring and that definitely includes these three. I would not have minded more stories about the character as his ability to get himself out of the thick of things is intelligent and enjoyable.